← To a very special mother! 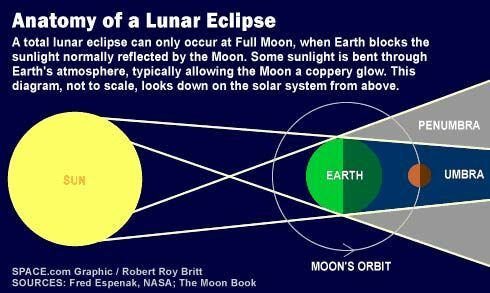 Exciting times for stargazers: there will be a solar eclipse on Friday, 20 March 2015, the first UK-wide almost-total solar eclipse, as it has been pointed out. The short story: there does not appear to be any relevant mention of this phenomenon. In 1989, Géza Alföldy published an article in Zeitschrift für Papyrologie und Epigraphik (77 (1989) 155-180; freely accessible here), in which he discussed a stone inscription from Nursia (Norcia). CIL IX 4599. – Image source: http://db.edcs.eu/epigr/bilder/$AE_1989_00202.jpg. Gaius Torenas, member of the Aniensis voting tribe, gives this to Hercules Victor as a gift, lest the cut-off light of the sun buries the moon. Previously edited in the Corpus Inscriptionum Latinarum (CIL IX 4599), the inscription had not attracted any significant attention. Following Alföldy’s proposal, however, that the inscription was, in fact, a unique epigraphical reference to a solar eclipse, things got a lot more exciting all of a sudden. In a direct response to Alföldy’s paper, Manfred G. Schmidt (equally in Zeitschrift für Papyrologie und Epigraphik, 80 (1990) 183-4; freely accessible here) suggested the use of [i]nferat (‘buries’) was problematic, as the Thesaurus Linguae Latinae (ThLL) does not record a metaphorical use of this term; moreover, on the basis of Alföldy’s published drawing, the second letter of [i]nferat was open to debate. Consequently, Schmidt argued that [a]uferat (‘steals’) was a more plausible solution, equally covered by the traces of letters on the damaged stone surface, suggesting that the text was not, in fact, evidence for a solar, but a lunar eclipse: ‘the cut-off light of the sun’ thus becomes the shadow of the earth – and that cut-off light of the sun then is imagined to be asked to refrain from stealing the moon. Finally, Schmidt suggested that the text might be a (somewhat distorted) borrowing from a literary poet – an idea that led Paolo Cugusi (in the second edition of his Aspetti letterari dei Carmina Latina Epigraphica, pp. 385-6) to suggest that the text quo ne Lunam | [a]uferat Solis | [l]umen sectu[m] could represent the verse type of a scazon (which, in turn, makes one wonder what literary poet would possibly have written about an eclipse, solar or lunar, in scazons). 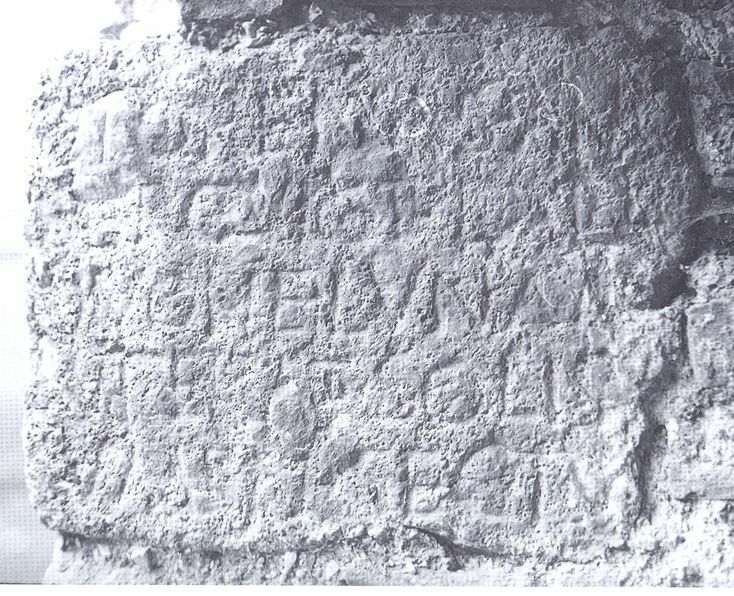 In addition to Cugusi, another important student of Latin epigraphy, Marco Buonocore (Carmina Latina Epigraphica Regionis IV Augusteae. Avvio ad un censimento, GIF 49 (1997) 21-50) accepted Schmidt’s view, giving its first line as T(itus) Torenas Anc(- – -) – reverting to the earlier reading of Anc(- – -) where Alföldy had explicitly documented An(iensis) and (re-)introducing a third option for the dedicant’s first name (earlier editors before Alföldy had read Lucius or Titus). Alföldy, without taking any notice of Buonocore’s readings, returned to this matter once more in an article that appeared in a German conference volume which had resulted from a gathering that discussed the issue of solar eclipses in the ancient world (H. Köhler – H. Görgemanns – M. Baumbach (Eds. ), “Stürmend auf finsterem Pfad …“. Ein Symposion zur Sonnenfinsternis in der Antike (Heidelberger Forschungen 33), Heidelberg 2000; Alföldy’s contribution on pp. 99-111). In this contribution, Alföldy respectfully rejects Schmidt’s idea of a lunar eclipse, and he does so primarily on the grounds of his observation that the remaining traces of the second letter of the opening word of line 4 ought to be read as an N rather than a V – documenting his claim with a new drawing as well as a photo (adding that there is not enough space on the stone for A to be the first letter of line 4). Somewhat less compellingly, Alföldy also disagreed with Schmidt’s view that the inscribed text ought to describe the astrophysical processes behind a lunar eclipse rather carefully, arguing that the dedicant’s invocation of Hercules’ help is a clear sign of a lack of understanding of the principles of natural science. Finally, Alföldy repeated his claim that [i]nferat should be taken in its common epigraphical meaning of ‘to bury’. What I am wondering, however, is as to whether the inscription’s wording and imagery have been fully understood. Cicero, Hortensius 24.4 uses the phrase nam hoc est in tenebras exstinctum lumen inferre, ‘for that is like illuminating darkness with an extinct light’, for those who wish to clarify ambiguity with ambiguous words. Quintilian, Institutio oratoria 5.12.8 uses the phrase in rebus uero apertis argumentari tam sit stultum quam in clarissimum solem mortale lumen inferre, ‘to seek an argument in matters that are perfectly obvious, however, is just as stupid as to illuminate brightest sunlight with a source of artificial light’. Both passages are of particular interest, as they involve the idea of light and shade as well as that of different sources of light. As a use of the Latin verb inferre (taking the reading for granted at this point) happens to be attested with a plain accusative of direction (ThLL s. v. infero, p. 1374.60 ff. ), this might give the entire inscription a whole new meaning. Gaius Torenas, member of the Aniensis voting tribe, gives this to Hercules Victor as a gift, lest he brings the cut-off light of the sun to the moon (sc. for good?). Torenas’ gift – whatever it was – was once mounted on top of this stone, as a hexagonal setting on the monument’s top demonstrates. Why did Torenas ask Hercules Victor? Frankly, I have absolutely no idea. He might just have been the most valiant hero around. The inscription may thus be Torenas’ plea to Hercules to prevent another such period of unusual darkness. A final thought for those who wish to see meaning in absolutely everything (I’m not quite as obsessed with that, to be honest): was the scazon rhythm (if that is what we’re facing here – I rather doubt it myself), whose name translates as ‘the limping one’, even chosen with cool consideration, to make the metre illustrate the way in which Hercules was supposed to make the natural phenomenon stumble and stall…? This entry was posted in Carmina Epigraphica, Epigraphy, Poetry and tagged Carmina Latina Epigraphica, Hercules Victor, Latin Inscriptions, Lunar eclipse, Solar eclipse, solar eclipses. Bookmark the permalink. Thank you so much for your encouraging feedback, I really appreciate it!